Sisonke Msimang’s much anticipated memoir, Always Another Country, was launched this week in South Africa. 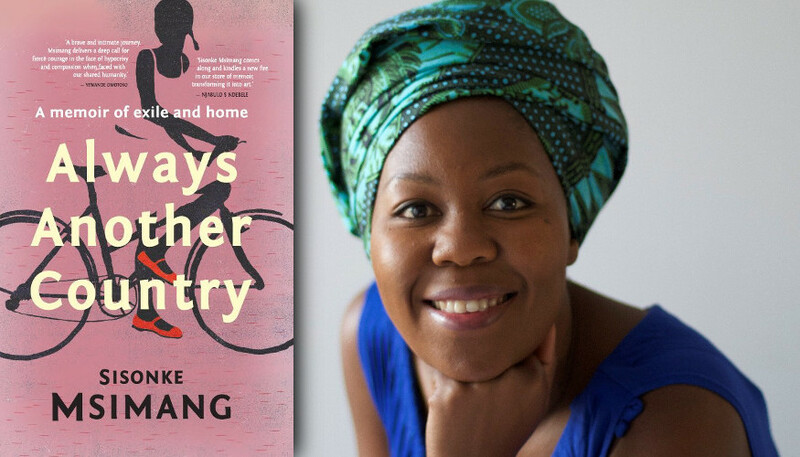 In the book, Msimang writes about her exile childhood in Zambia and Kenya, young adulthood and college years in North America, and returning to South Africa in the euphoric 1990s. Msimang says writing about her sexual assault was the most ‘groundbreaking’ part of writing the book, for her. ‘It wasn’t easy to write, but it was very important to me to write it, and it was definitely the breaking of a silence,’ she says. ‘The world is too difficult, full of too many different kinds of characters, for you to write something in a book that you’re still trying to deal with yourself. I had already dealt with that issue for myself, but I certainly hadn’t dealt with the issue of silence around it. ‘If there’s any part of the book that was personally groundbreaking for me, it was talking about the sexual assault. Because I hadn’t spoken about that publicly, nor had I spoken about it a lot with members of my own family. There was only a small group of people who knew.